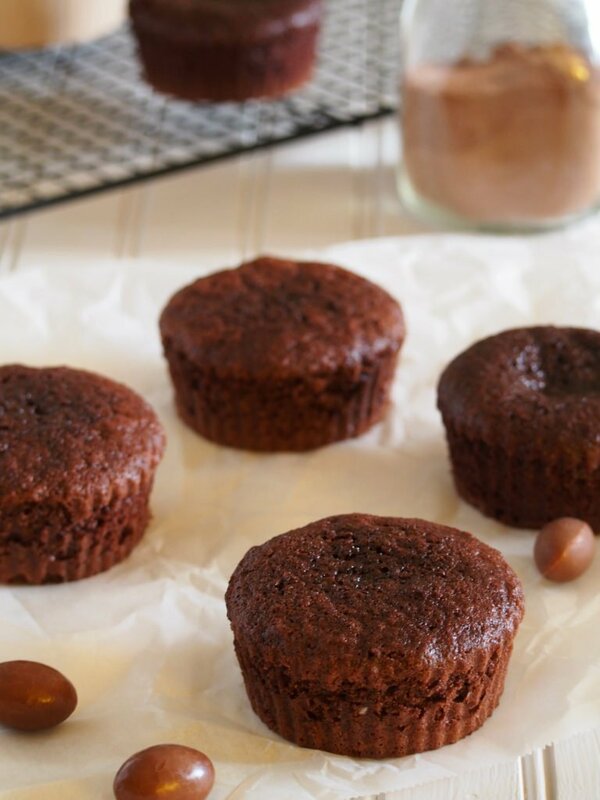 Chocolate mamon are light and airy sponge cakes with just the right amount of chocolate flavor. 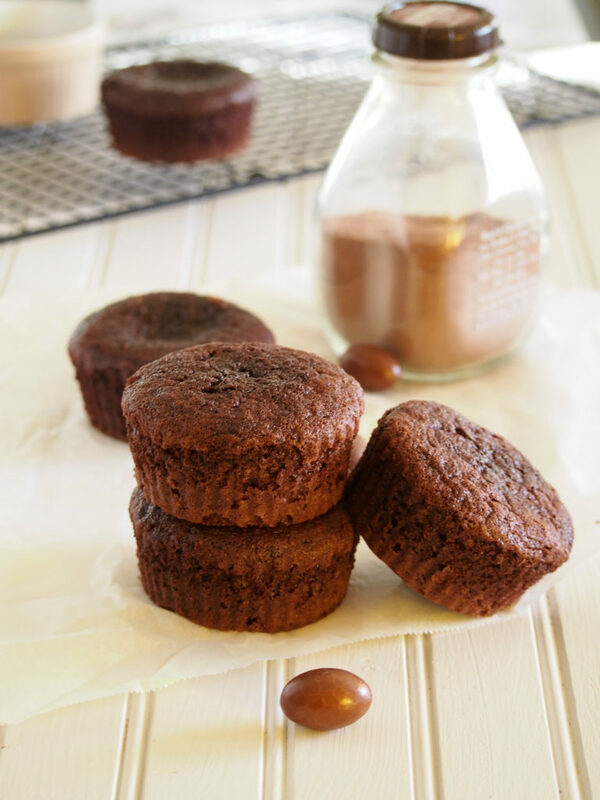 They are simple chocolate delights for those times when you want a hint of chocolate in a cake but not the overpowering, super rich ones. Perfect for snack any time of day, these are like light chocolate clouds in your mouth and I enjoy these very much especially when I want a quick bite without having to sit down and dine in a table. 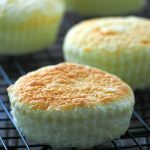 Mamon in the Philippines are sponge cupcakes that is served plain as they are or sometimes topped with butter and shredded cheese. I have a basic mamon recipe, one that is not so conventional because they are technically not sponge cakes, but they are exceptionally good that I encourage you to try making them too. Today, for variety, we have these chocolate mamon and they are so simple yet you cannot stop at one. You see them without any fancy toppings and frostings and that makes them so good. I feel like these are the type of cakes that even those people who are not cake people can eat. Well, like my husband. 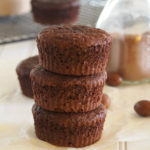 To make these, I used my ever so reliable silicon baking molds, and these are laaarge, at least larger than a regular cupcake mold. You can use regular sized too so you can yield more pieces, but I want my chocolate mamon big and fat. These molds are the same ones I use for my other baked goodies like the ensaymada and the plain mamon. They have been very handy to have. What I love about making these chocolate mamon is I don’t have to separate my eggs. You see, most of the recipes here for cakes require me to separate egg yolks from egg whites which sometimes I am too lazy to do. Like now. 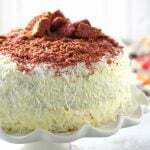 Because they are sponge cakes, there are two important processes involved in making these. First is whisking the eggs until they reach the ribbon stage. Using the whisk attachment, this process takes about 10 minutes for the amount of eggs in this recipe. Basically, what you want to achieve in the end is the stage when the eggs are pale in color, have tripled in volume and thickness, and falls back down in ribbons that does not sink right away. In this photo below, you can see that when I lift the spatula, the egg batter falls back down and hit the surface in ribbons, and those ribbons stay in the surface for about 6-10 seconds or so. They don’t sink in right away. That is when you will know that the eggs are ready. And you are ready to move on to the next process, which is the folding of the dry ingredients to the egg batter. So your dry ingredients, the flour, baking powder and cocoa, you ideally prepare them ahead by sifting them together in a bowl. For the next key process which is called the folding, you first add half of the dry ingredients into the egg batter, and using a rubber spatula, you gently fold the dry ingredients in. So basically, the aim here is to not deflate the wonderful, frothy and thick egg batter once you add the powders. In reality though, you will deflate it to an extent that is acceptable. There is no getting around it. You will lose a little volume in the process but that is okay. The important thing is you try to deflate as little volume as possible. So the trick is to scoop the spatula in a horizontal manner underneath the batter, then go back up. Scoop under, then go back up. Scoop, go back up, until no streaks of the powders remain. Then you repeat the process with the other half of the dry ingredients. The mixture should be uniform in consistency. And it is also important not to overdo this folding or you will end up with dense cakes. The key is to do it quickly, thoroughly and gently, which is, I know, a tricky combination of adverbs. Lastly, the final component of sponge cakes is the melted butter. Fold it in the batter gently just until combined. It is not a lot. 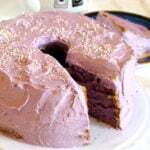 It just gives a hint of richness to the cakes without going overboard. Then, soon, soon, You will have these chocolate mamon in your mouth hands. 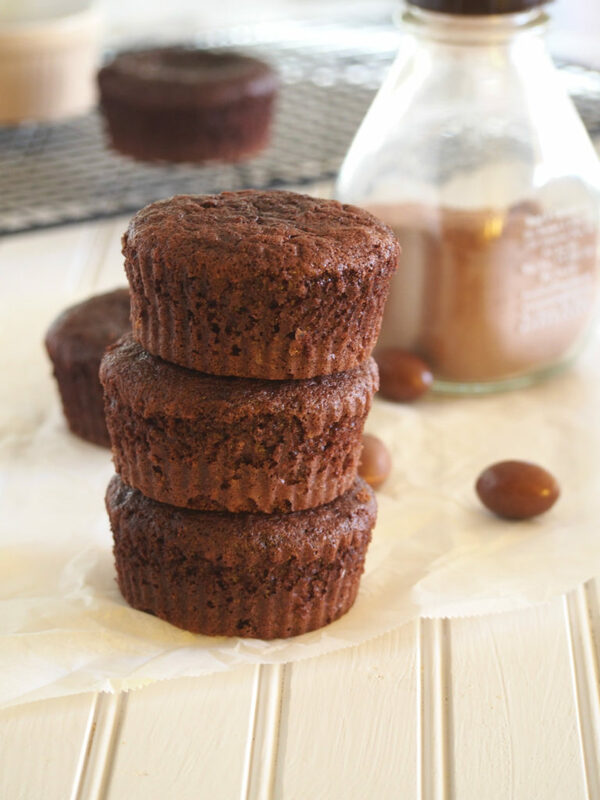 Chocolate mamon are light and airy sponge cakes with just the right amount of chocolate flavor. 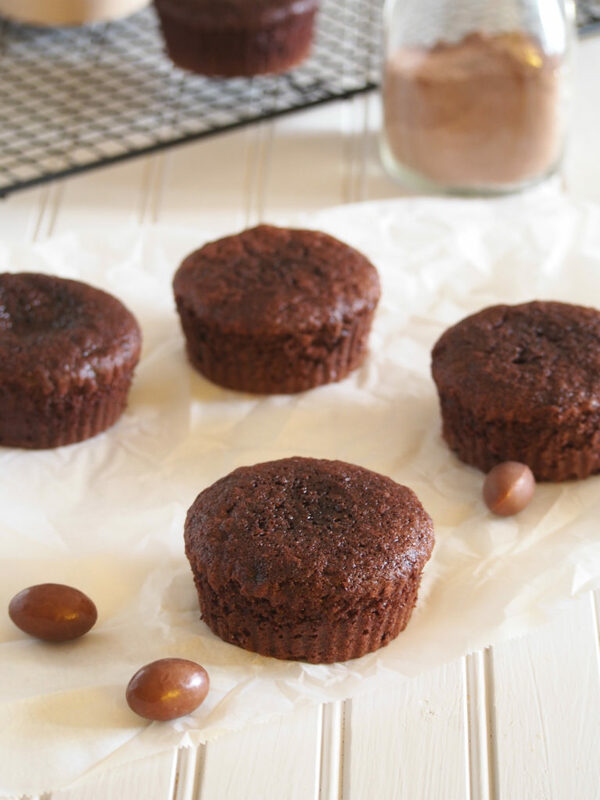 They are simple chocolate delights for those times when you want a hint of chocolate in a cake but not the overpowering, super rich ones. Preheat oven to 350 F. Sift the flour, baking powder, cocoa and salt into a bowl and set aside. Place eggs and the pinch of salt in the bowl of your stand mixer fitted with the whisk attachment. Start whipping the eggs on medium to high speed. 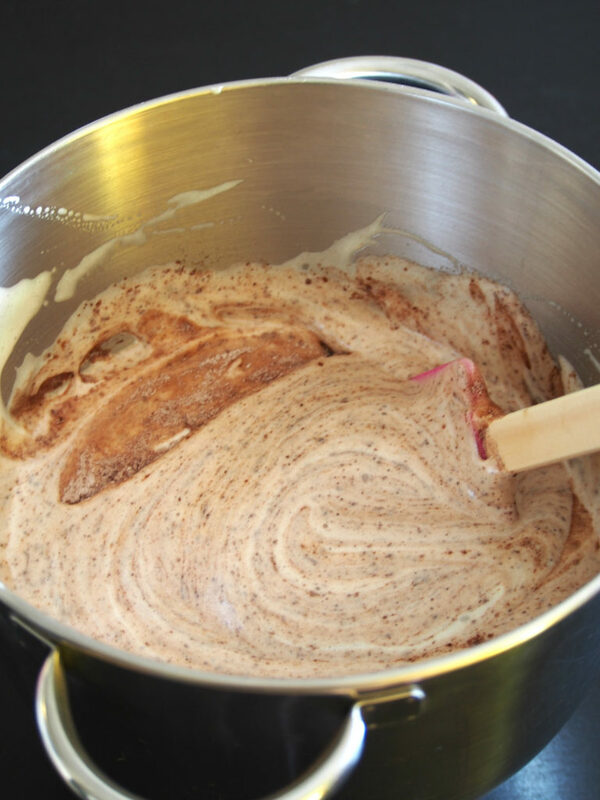 Once it becomes foamy, gradually add the sugar without stopping the mixer. Continue whisking and gradually adding the sugar until the eggs become pale in color and the volume has tripled. 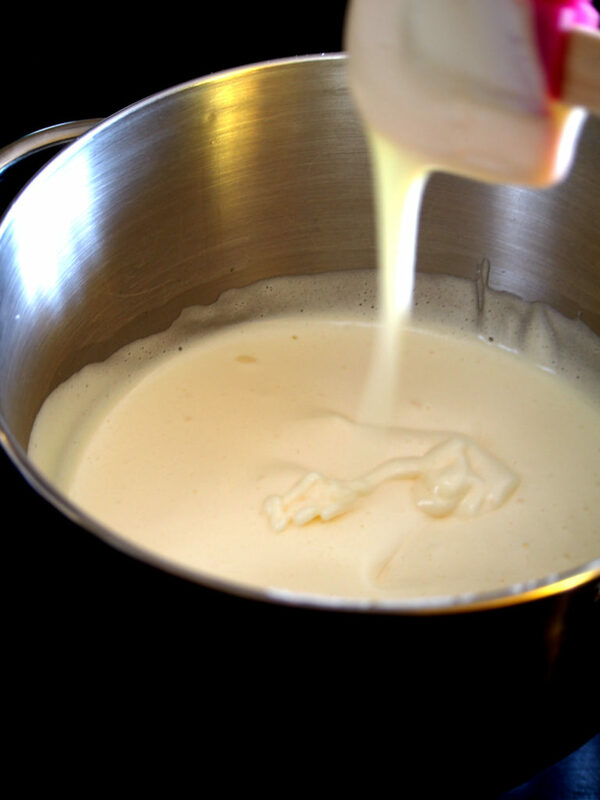 The mixture should be thick and when you lift the whisk, the batter falls back down into the surface in ribbons that does not sink right away. This mixing should take about ten minutes. Add half of the dry ingredients to the egg batter. Use a rubber spatula and gently fold the dry ingredients in, scooping down under and coming back up to the surface until no streaks of the dry ingredients remain. Add the remaining dry ingredients and fold gently just until no streaks are visible. The mixture must be uniform in consistency all through out. Do not over do this so as not to yield dense cakes. Add in the melted butter and gently fold it until combined. Spoon the batter into large molds placed on a large baking sheet. 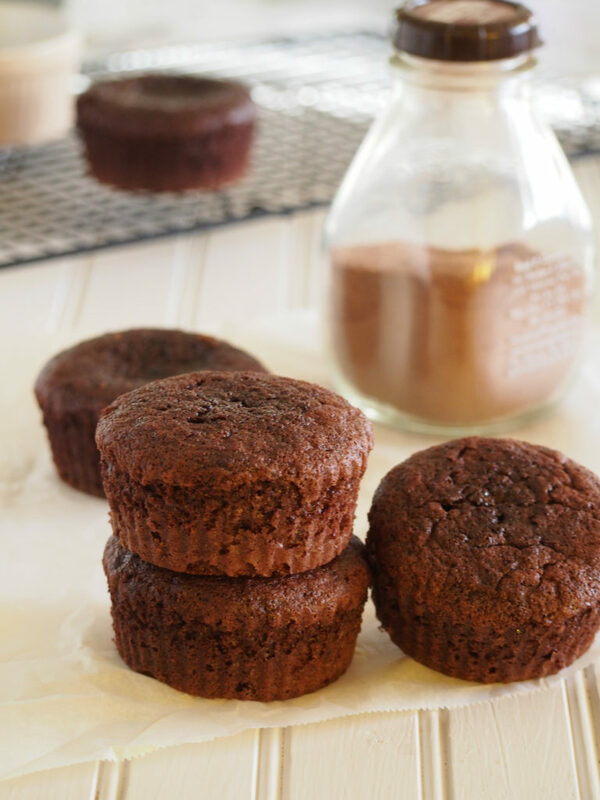 Bake in preheated oven for about 20-22 minutes or until a toothpick inserted into the center of cakes come out clean. Cool these chocolate mamon on wire racks and store left overs in covered containers at room temperature. Recipe adapted from Let the Baking Begin. Do you want to improve your food photography? Check out my Food Photography Resources. 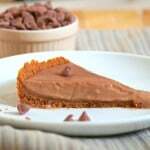 Subscribe to Woman Scribbles to get recipe updates and receive a free ebook ” 5 Simple Cakes”.